Hello, I wanted to congratulate the finalists of this competition, they are here on their own merits. I would also like to congratulate those who ended up being eliminated, because reaching this stage in a great competition like this is for the few. Alignments should be posted until tomorrow (19.06) at 23:59 pm server time. All groups must appoint a captain to communicate the penalties to the opponents and receive communication on penalties. 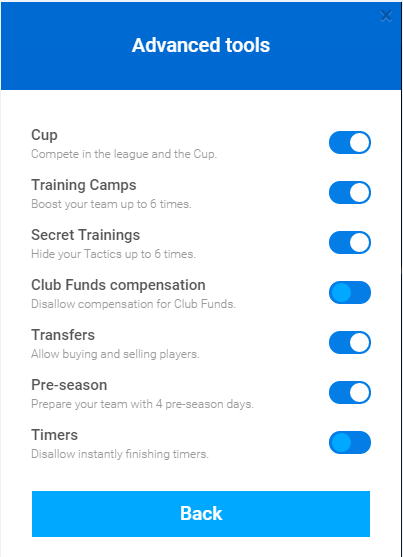 CPU offers can not be accepted at any time; And will also have a (-) 50 points penalty for each player sold to the CPU by the offer. All leagues should be created 21/06/2018 (June 21) - in between 00:20 and 01:20 In the night of the 20th to the 21st day (server - Netherlands). Good luck to our Dutch friends!!! Are there any parts about the leagues? if possible, post here for fans to follow up. Thanks to our dutch friends for interesting and honest battle! We know well the Men Of Honour's strenght, so this is definitely a great job mates. Congratulations to Portvcale for the wonderful tournament and to all the people involved on it! We had great times here! @ferreipa Congratulations guys!!! Awesome performance!! I want to congratulate the other group!! Good luck to the future! good, when will the banners of this competition be available?